Report of Col. George W. Taylor, Third New Jersey Infantry. CAMP NEAR FORT WORTH, VA., March 10, 1862. Left Camp Fort Worth Friday, March 7,1862, about 4 p. in., with the First Brigade (General Kearny’s). That night marched to Burke’s, 12 miles, and bivouacked. On the 8th the Third Regiment marched to camp near the railroad, one mile east of Fairfax Station, and relieved the picket of the Sixty-fourth New York State Volunteers. Left camp the 9th on a reconnaissance, with 20 cavalry of the First New York Regiment, towards Occoquan. Returned to Fairfax Station about noon. Soon after received orders from yourself in person to take some five companies, or parts thereof (the balance of our regiment being picketed to guard our left flank and Fairfax), and proceed by railroad and march upon Sangster’s Station, 3 miles east of Bull Run. About half a mile this side of Sangster’s, the enemy appeared in reconnoitering parties of cavalry and some infantry on the right and left of the railroad. They fell back as our flankers advanced. The regiment marched steadily until the advance reached Sangster’s. There, in your presence and by your orders, they occupied a commanding position in line of battle on the crest of a hill to the right of railroad. I had under my orders of the First New York Cavalry 10 men and one corporal, under First Lieutenant Hidden. Just before leaving the railroad I ordered this officer to advance in the open fields and reconnoiter, and if the force was not greatly superior to his own he might charge them. He went off at a brisk trot nor did he check his horses until he charged into the midst of their pickets, the enemy being greatly superior in numbers, and having the advantage of cover of pines. He lost his life in the gallant charge, but drove the enemy into a rapid retreat, leaving arms and many knap sacks and blankets. Thirteen prisoners were taken, with a lieutenant and non-commissioned officer. They proved to be the First Maryland Regiment. Very soon after the Second Regiment of Kearny’s brigade came up and joined us. They occupied the ground of the enemy’s picketing regiment until night, when a small company was left to guard Sangster’s Station until next day. That day, the 10th instant, by your orders, eight companies of the Third Regiment marched upon Union Mills late in the day and bivouacked the same night beyond Sangster’s Station. At 4 a. in., 11th instant, continued the march, arrived at Bull Run, and found the bridge partially burned. It took about one hour to repair it. Crossed, and continued a rapid march to Manassas Junction. Arrived at 9.30 a. in., previously having deployed into line of battle, and sent Captain Gibson, with a flank company of skirmishers, into the place. We found it deserted except by a few citizens with two or three wagons, loading the spoils left by the rebels. The flag of the Union was instantly hoisted upon the flagstaff of one of the enemy’s works, about which time you joined our regiment, upon which, by your order, had been conferred the honor and great satisfaction of hoisting the American ensign upon the notorious hold of the rebels. The regiment, by your orders, marched the same day to Centreville, where they arrived at sunset. The following morning, the 12th instant, returned to Fairfax Station and the same day to Fairfax Court-House. Remained at Fairfax Court-House until the 14th instant at 0 o’clock p. in., at which time the regiment marched with the brigade, under your orders, to our’ present camp at Fort Worth, arriving at 1.30 a. in., 15th instant, having been detained nearly one hour in crossing Cameron Run. The regiment stood the march remarkably well. 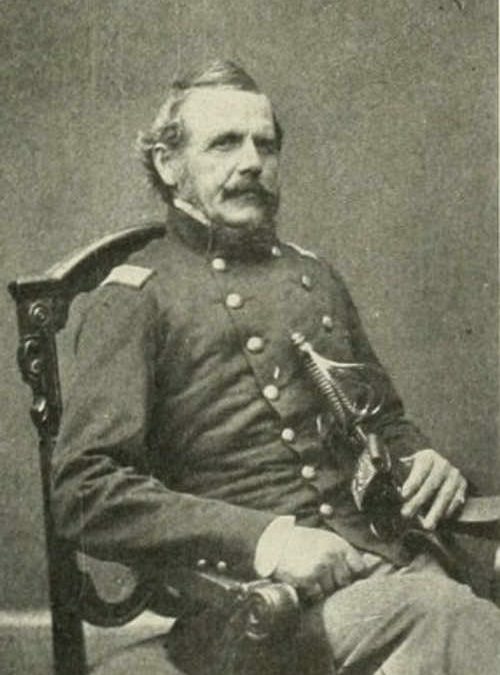 Colonel Third New Jersey Volunteers. Commanding First Brigade, Franklin’s Division.